Guess what I caught trying to break into the chicken coop last night? A coyote! A couple weeks ago one of our hens disappeared. We searched the orchard and didn’t find a single feather. Our neighbors hadn’t seen her either but one did warn us that a coyote had been hanging around so we figured maybe he got her. Then a couple days ago we were herding a few of the chickens back to their pen and found a pile of feathers in the neighboring field. Now, having seen the coyote last night, I am sure he must have caught her. Poor thing. We think maybe one of the kids didn’t count them when their coop was locked and she was left out overnight. 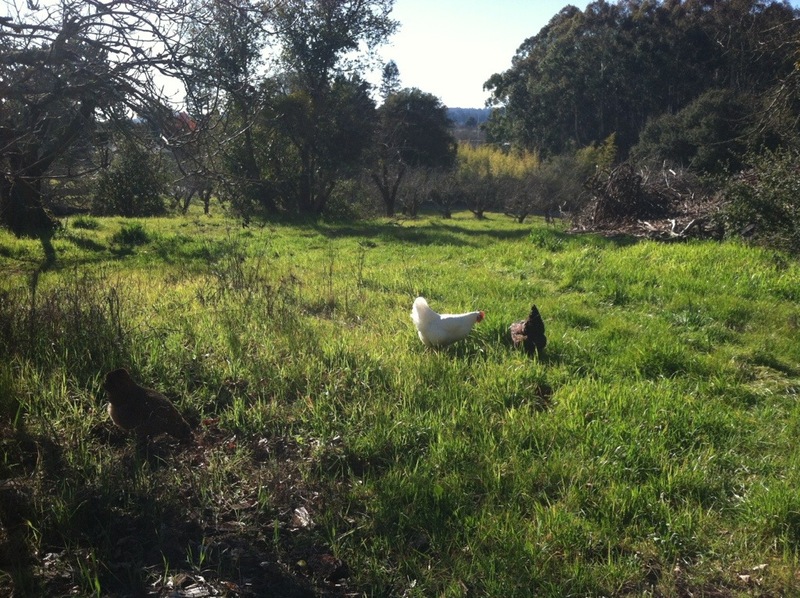 Thankfully the coop is coyote proof and as long as we remember to lock up all the chickens at night, their safe. 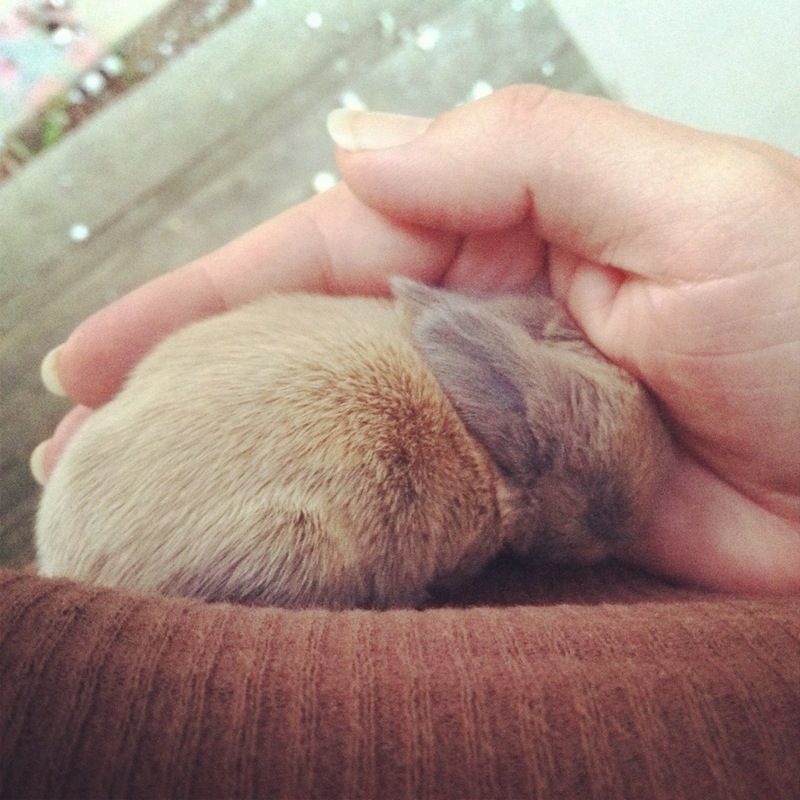 On a happier note, we have baby bunnies! 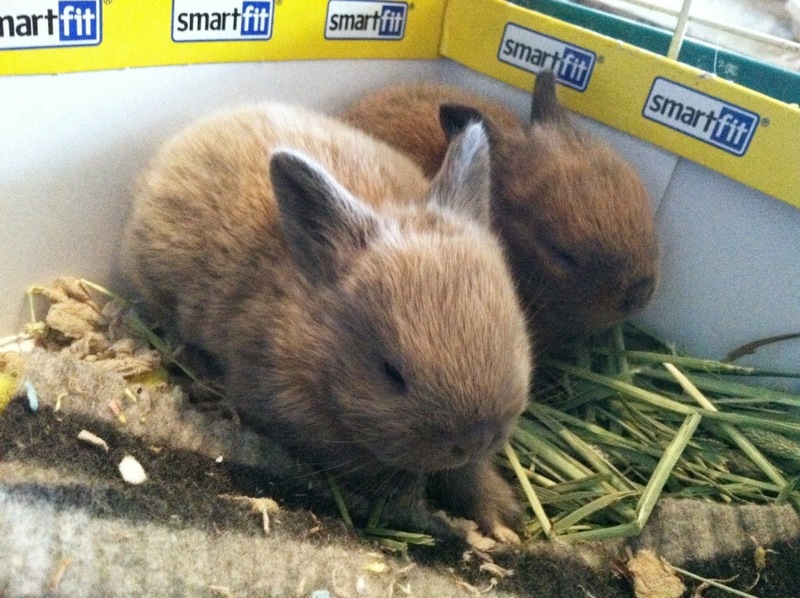 I’m not going to get into the hows and whys, but in January we ended up with two rabbits. Brae has been asking for a rabbit for years and since she just had a birthday we decided to keep them. We found out too late that neither was fixed and the girl was preggo! In mid February I went in to check on them and heard tiny squeaks. I found four live babies and one dead one. Two more died over the next couple days due to injury and I think a little neglect on the mom rabbits part. But we have two healthy fluffy baby bunnies that are thriving and happy with their mom in their own separate cage from Dad. Brae is thrilled. Her friends all want one and I’m now getting dirty looks from their parents. Just kidding. They all think I’m brave for even trying the whole bunny thing. When I have to help clean the cage I regret it, but when I am holding one of these tiny fluffy creatures and when I see the joy on my daughters face when she holds one I can help but love them. Rabbits are great pets and amazing homesteading animals too. You should have your daughter work on doing rabbit jumping to get more involved! I had to look that up. How fun! Oh, your bunnies are a beautiful color and just in time for Easter.